Dip! 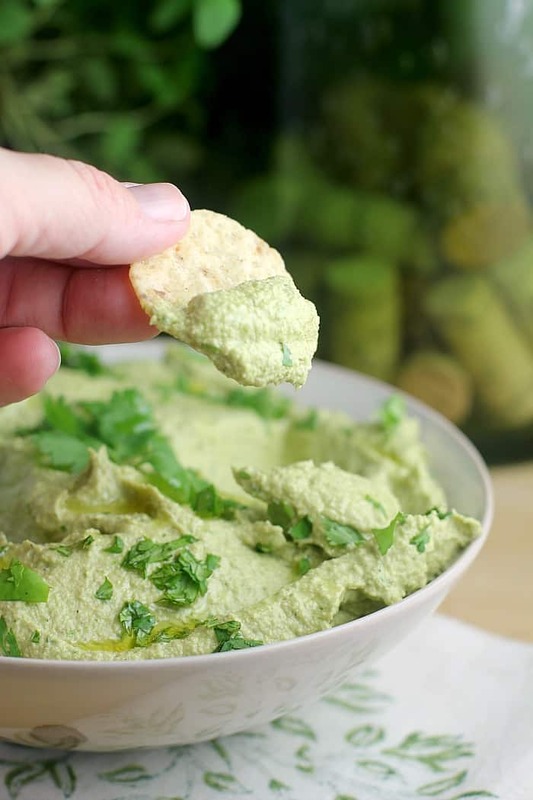 A healthy new Poblano Avocado Dip for chips. Or veggies. Or both. Roasted poblano peppers, creamy avocado, and just a couple other ingredients blended up simply for a sultry delicious dairy-free, vegan dip full of happiness. Oh yes, we can have our dip and feel perfectly, lovingly, guilt-free about it. Oh heyyy SUPUH-BOWLLLLL! Sorry, most of you will hate this, but I am a Pats girl. Through-and-through. My entire life. Through the bad times and the good. I remember watching them in the Superbowl with the Bears on my weee little black and white TV in my childhood bedroom ….and, of course, the FIVE Superbowls we have won since, and as many games as I could in between. So, I am a happy gurl with how things went that Sunday. Did you even see Edelman’s miracle catch with only 2:28 remaining in regulation?? Did you even SEE IT??? 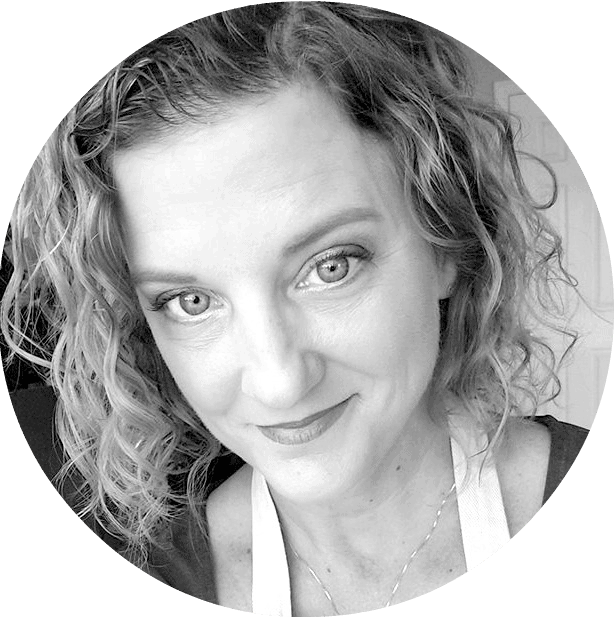 Alright, enough of that (not really), but let’s chat food. SO, my Superbowl food spread this year consisted of teriyaki wings, Queso Dip (I omitted the sausage), Deviled Eggs, cheese and crackers and chips, AND then this dip. 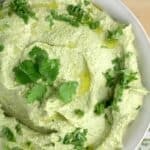 See, our nephew who is currently living with us cannot have dairy, and I am always looking for ways to veganize recipes anyway …so I made this dip for he and I to enjoy while every one else was sucking on chicken bones. Essentially, I made guacamole and kicked it up with oven roasted poblano peppers (which are one of the best things in food, in my opinion). Then, I dipified it by blending in cashews and almond milk in place of any dairy. 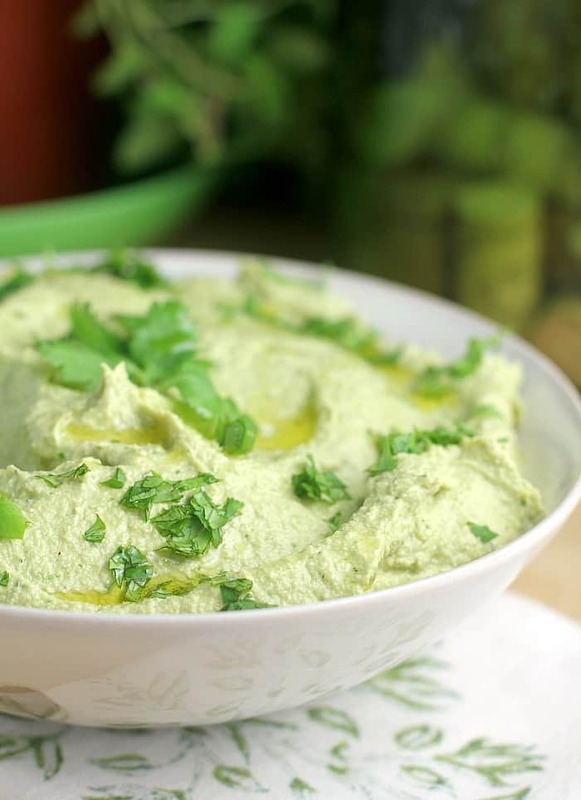 This made a beautifully creamy party dip, full of healthy fat, antioxidants, vitamins, and fiber …but still a FREAKING PARTY DIP. That’s it folks. I totally got what I wanted Sunday – the Pats with the most amazing comeback and kicka$$ game in history, and a delicious healthy Poblano Avocado Dip to go with. Enjoy, and peace! Roast the peppers under the broiler, turning a quarter turn every 5 minutes, for 20 minutes. Put the peppers in a ziploc bag to steam for 5 minutes. Remove the charred skins and seeds. Put the roasted peppers, cashews, avocado, salt, lime juice, cilantro, scallion, and almond milk in a food processor. Process until smooth. Transfer to serving bowl. Garnish with a drizzle of olive oil and some fresh cilantro. Serve with tortilla chips. Yields ~2 cups. Leave me a comment! Otherwise, I’m just talking to myself here. What is your favorite dip? What is the consistency of this? Oh, I love the flavor profile here and you know this girl is never going to hate on the Pats!!! Yum! I love to put avocado on a ton of stuff. I grew up in southern California and we had avocado trees in our yard. I will have to try this recipe, it is a new one for me! Avocado and cashews!!! Me and hubby will be all over this yummy dip! This just looks delicious! I love avacado. Pinned for you! Wow, this looks yummy! Avocado is one of my favorite healthy fats and cashews are one of my favorite nuts. This is definitely a win 🙂 Saving for later! 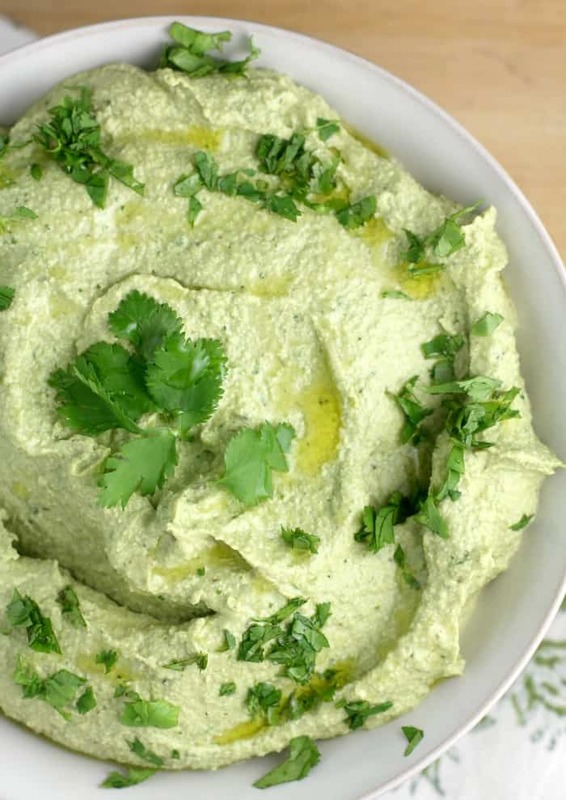 What’s better than an avocado dip? Can’t wait to try this! !